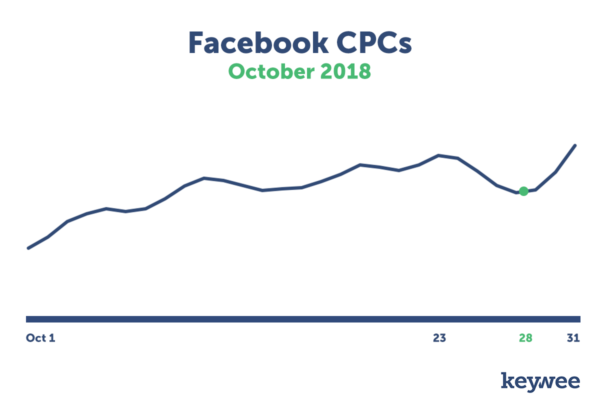 We created The Keywee Facebook CPC Tracker, a monthly update on Facebook CPCs based on analysis of data from over 500 publishers, to answer frequently-asked questions about Facebook CPCs and the state of paid content distribution. Every month, we release new data and relevant insights about the world of content distribution. You can sign up for monthly updates straight to your inbox here, and read past months’ updates here. Q4 is here, and it’s making itself known with some pretty big CPC increases. While we sometimes see small drops in CPC at the beginning of a quarter, we wouldn’t expect to see that in Q4 which is notoriously the most expensive quarter of the year. The monthly increase in price was also in part due to a shift toward higher-cost use cases. We saw an increasing number of dollars going toward branded content, profitable audience development, and paid subscriptions campaigns, all of which can handle a higher price ceiling while maintaining profitability. We saw the largest month-over-month spend increase – 109% – for branded content campaigns, followed by profitable audience development with a 68% spend increase. Both of these use cases typically hit their peak in Q4, when partners are most interested in the additional reach that publishers can provide. 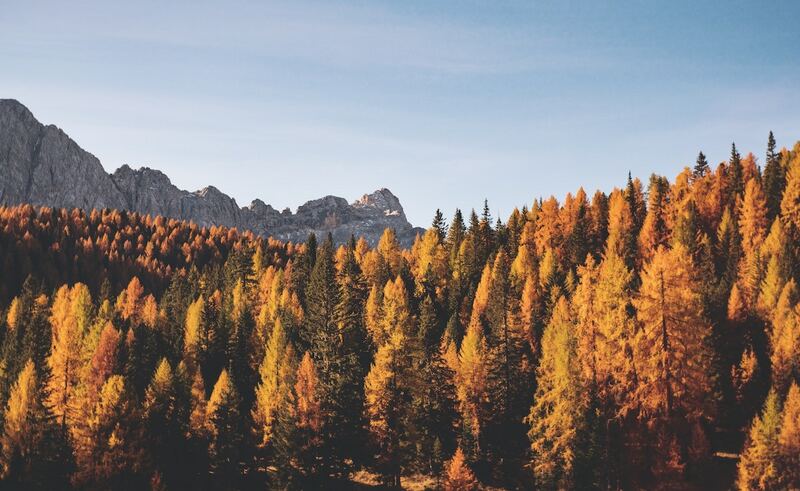 While October CPCs were consistently high throughout the month, there was a short reprieve between October 23 and October 28. Marketers experienced an unexpected efficiency toward the end of the month, which was extremely useful for teams front-loading their spend early in the quarter. In October, we also saw the largest year-over-year increase in pricing yet. 2018 has been the year of soaring distribution prices, and we expect this trend will only continue through Q4. Q4 is the most expensive time of year to distribute content, but it can also be the most profitable. Our work with hundreds of the world’s top storytellers has taught us that the key to success in Q4 is a strong game plan. If you’re looking for guidance on creative and general distribution best practices, I would recommend How to Win on Facebook in Q4. This lookbook provides recommendations for boosting Facebook post engagement for each month in Q4 with real-world post examples. And if you need help getting your team organized, take a look at the Q4 Content Distribution and Audience Development Checklist — an in-depth checklist that walks you through every step of building a strong Q4 strategy. We’ve found that with the proper preparation and campaign optimization, we can keep content distribution costs consistent, even in the thick of Q4. If you want to learn more about how we’re hundreds of publishers do just that, get in touch.